Mikhail “Misha” Tsipis is a four time Ukrainian National Champion and two time Soviet Team Champion. Misha earned an International Masters of Sports degree in coaching and physical training from the Kiev State Institute of Physical Education. 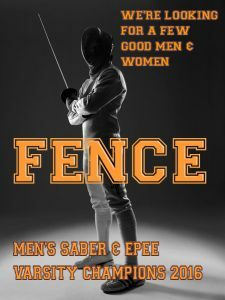 During his competitive fencing days Misha was rated in all three weapons, but sabre has always been his preferred weapon because of its fast, aggressive, highly physical nature. Misha has over 50 years experience fencing and over 30 years coaching children, teenagers, and adults. Misha’s men’s sabre team were the 2016 and 2017 Conference Dual Meet Champions.